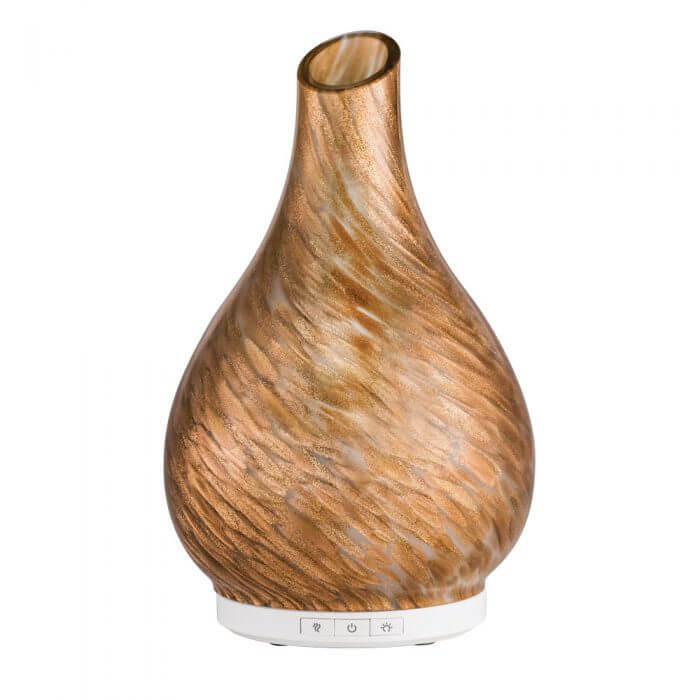 A beautiful handblown glass sculpted essential oil diffuser. 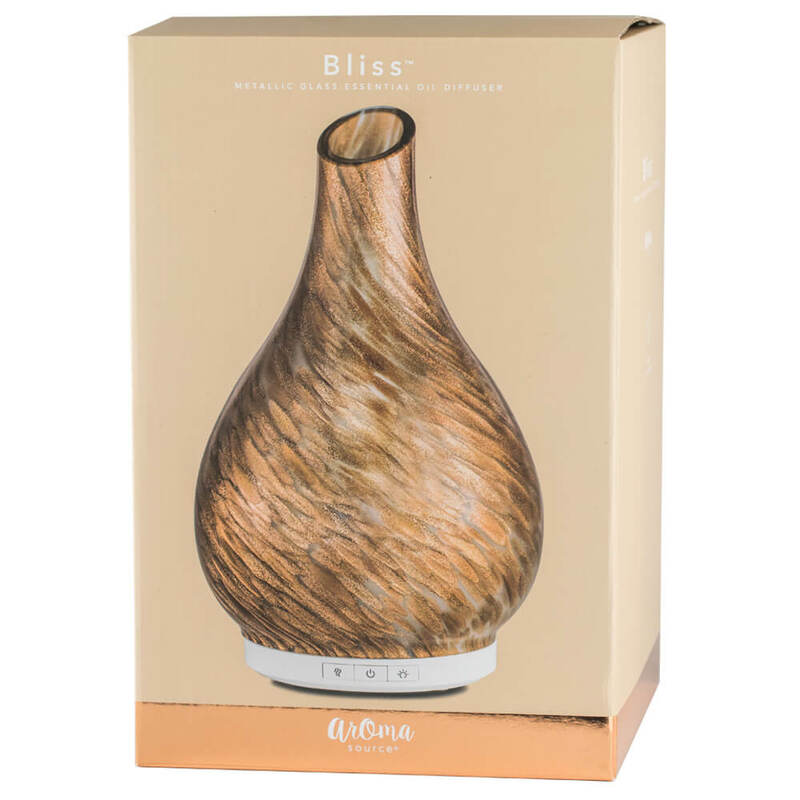 With its three runtime settings - high, medium and low - and it's continuous or intermittent mist settings, the Bliss diffuser can run up to 8 hours on just 120 mL of water! A soft, white light adds ambiance to any room.